The UB-Flow ultrasonic profiler, developed and produced by UBERTONE, continuously measures the velocity profile along an axis (acoustic beam). In particular, it allows the observation of a velocity profile in sewer networks during rain events, usually unreachable by measurement because of security constraints. When the device is positioned appropriately, the information contained in the velocity profile may allow the user to calculate the flow rate with high accuracy. The UB-Flow velocity profiler allows the improvement of the hydraulic knowledge of sewer systems by viewing, for example, the effect of upstream flow disturbances (branch, bend, confluence, etc..) or transitory regime. It allows also to visualize the influence of sediment layer evolution on the velocity distribution. This knowledge is essential to choose the position and to calibrate flowmeters. 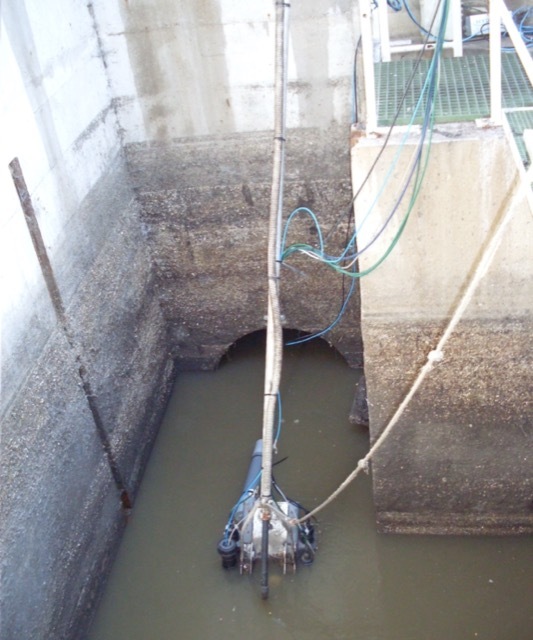 To do this, the UB-Flow can for example be installed at the water surface, on a floating arm, as it has been done in a sewer network in Nancy, France. These measurements show clearly the effect of the sediment layer on the velocity field across the sewer section. 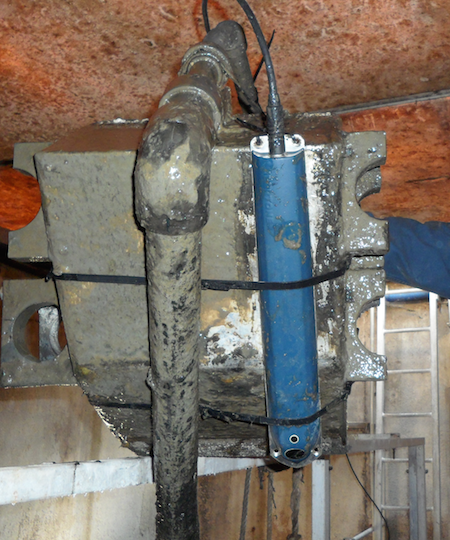 Accurate instantaneous velocity profile measurement with the UB-Flow can also give access to the Reynold stress, as shown in “Instantaneous ultrasonic velocity profiling using in-situ sensor in real sewer flow”, Martin Jaeger, Frank Blumensaat, Vojtěch Bareš, Stéphane Fischer. This information helps in understanding the sediment transport process in open channels. In this application, the UB-Flow was installed at the bottom of the channel looking upwards.